The past two days I have seen that a million people are going to the Blissdom Conference. Awesome for them! I am super happy when other people are happy. It is just contagious to me. For instance, if you are excited about your new puppy, my heart beams thinking of you giving that little fella a snuggle. But I know pretty well what social situations I find enjoyable and the educational forums I find most helpful and a blogger conference ain't it. I am sure you leave a blogger conference with more knowledge than you come in with. Otherwise the jig would be up real quick. But I think about growing my blog constantly, so I doubt I would hear anything groundbreaking that probrogger.com hasn't covered in some detail or any of the infographics I have pinned to my 'blogstuff' pinterest board. I am pretty resourceful on the internet, so I can go to the Blissdom website, see the topics they are covering and google away any information I might want. That is a better education for my personal brain. If I leave with 100 new ideas I am in the same place I am right now, sitting here with 100 ideas and just lacking the time and energy to tackle more than a couple at a time. So as far as going to a conference to learn stuff, the medium is all wrong for me, and I don't think I will get a whole lot out of it for the money. Hell to the no. First of all, I have no interest in being around that many people for 4 days in a row. And with all the self-inflicted pressures of needing to look really cute all the days? Why? Because you are going to possibly wind up all over instagram,twitter and blog posts all next week? If your wardrobe is anything like mine I would have to add in the cost of 4 new outfits so I don't look like some hobo off the street. (okay, I'm not that bad). I know I would be too self conscious to even be able to relax, unless I were drinking heavily though, and that is definitely not cute. I know that people judge you on how you look all the time, but when it is just something that is a known and accepted fact regarding an event...not interested. You don't want to meet me. I promise you I am 1000% cooler online than I am in person, and I wouldn't want to tarnish my image, lol. I am a total weirdo when I meet new people and it is exponentially worse when the number of people I don't know > people I do know. I make weird obscure jokes, I laugh at inappropriate times. I forget everyone's names. It is my own personal hell. If I meet you one on one, I am a total delight. It makes no sense. Adding to obligations, the financial one is a huge one! Just your ticket in is $400!?! I will never be at a point where I take my blog so seriously that I would lay down that kind of dough to learn about blogging and meet bloggers. I can do that for free. I could go right to my Texas bloggers facebook group and get 10 people to meet for brunch on Saturday morning. All for the cost of a plate of eggs, and fits within my length of time I would care to talk about blogging, lol. Add to that hotel for three nights, transportation to the city it is in, 4 new outfits. You are looking at an easy $1000 bucks. When my blog is bringing in approximately -$20 a month (you read that right, minus $20) this seems like a horrible waste. Plus I have debt, student loans, and a bucketlist loaded with vacations I have been meaning to take, it doesn't look like I will ever fit blog conferences into the budget. What about you? Is Blissdom or other blogger conferences in your future? (or are you there now??) I'd love to hear your take! I don't think I would ever go to one either. My blog is really more of an outlet for me. And yes I do like growing it and making it better, but only because I feel accomplished when I do something along those lines. And the cost alone for some of that is a tad ridiculous. Like you, I have other debts that I need to be paying off before shelling out money for that. And I agree that it is for some people. And honestly, I probably would love it, but I just don't ever see myself going. But I think it is awesome that they do put these things together for people who can and will take advantage of it. I don't think I would go to a big blogger conference, but I do get a little jealous when bloggers who live in bigger cities get together for smaller blogger meet-ups, like less than 20 people. I know of a few other bloggers in my area, but I don't think a meet-up would happen unless I planned it, and that's just not going to happen! I love your thoughts. I agree with most of them. My number 1 drawback is money. We just don't have the kind of money to spend on a conference. I also don't think I would do good with it socially. 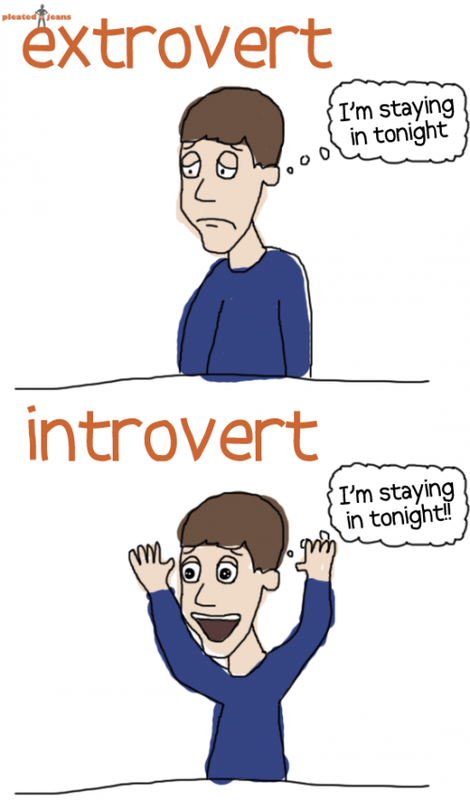 I am also introverted and don't do well at large events like that. I also think "what if they don't like the real me?" It's easy to make yourself appear a certain way online. I also prefer jeans and sweatpants to dressing up. I don't have tons of cute clothes and don't need my wardrobe choices being analyzed. All that being said...I am going to an NC bloggers meet up. It's just dinner with about 20 bloggers from NC and I'm nervous about it and it's not nearly as big as a conference. Also....the picture on my blog and a lot of the ones I post were a lot of pounds ago. :) So I probably do look different. I agree with you. I Iove the idea but I can think of 20 other things I want to spend $400 plus hotel rooms on and I live in Dallas so that's not exciting. Besides the weather is awesome right now and I would rather be outside and not stuck in a conference for the next four days! you are so right. I think I would want to go to a blog conference but then I'd get there and feel awkward and self conscious and like I'm back in high school. Although I do think it would be cool to meet the people I blog with regularly, I don't think a blogger conference per se would interest me.